Sunny. High 88F. Winds N at 10 to 20 mph..
A few clouds. Low 63F. Winds N at 5 to 10 mph. The members of Soroptimist International of St. Helena would like to inform your readers of our 42nd Annual Crab Feed to be held across two evenings, Feb. 1-2, at the Native Sons Hall, 1313 Spring St. For the first time ever, the club will celebrate the Sheroes in our midst by honoring eight local women at the event for their lifetime of service to the community. Honorees will be celebrated over both nights with live appearances on Friday and a video tribute on Saturday. Friday night format will feature no-host bars, wine and crab galore served tabletop but without the music or live auction. Saturday night guests can expect a silent auction along with a limited but spectacular live auction still being finalized. Rare magnums of prized wines and once-in-a-lifetime day trips are among the goodies being lined up. Elaine Honig, founder and president of STUDIO 4Forty, will once again serve as Master of Ceremonies and auctioneer thus insuring the two-night event is a balance of good cheer and serious philanthropy. Tickets are $75 per person for Friday and $95 per person for Saturday. For tickets and sponsorship opportunities visit sthelenasoroptimist.ejoinme.org/crabfeed. Prospective attendees are encouraged to keep an eye on Soroptimist’s Facebook page for more event updates, including details about silent and live lots. Proxy bidding can be arranged through members. All of the proceeds raised from the two nights will go to fund the club’s expansive scholarship and grants program — a comprehensive offering that provides academic and professional support to women and girls of all ages. Myriah Mutrux, director of hospitality at Hall Wines and a SI St. Helena board member closely involved with the planning of the fundraiser, said attendees who purchase a ticket for the event can do so knowing they are making an investment as much in their community as they are a good time. “Every year our club gives out thousands of dollars in scholarships and grants to deserving women and girls in our community. Nearly all of those funds are raised over these two nights,” said Mutrux, adding that proceeds from the event are also used to fund critical outreach programs, including those aimed at combating human trafficking in the Napa Valley. Soroptimist International of St. Helena was founded in 1954. In the 65 years since it was created, the service club has given away more than $1 million in individual scholarships and grants while at the same time helping numerous other local nonprofits through volunteer and financial support. The club currently has 30-plus members representing a wide range of ages and interests. 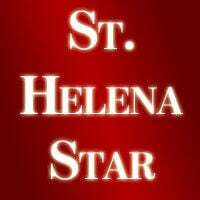 The St. Helena chapter of Soroptimist International is one of 1,275 clubs spread across 121 countries. Thank you for your consideration. If you have any questions regarding the event or our club, feel free to contact me at this email or via telephone at 707-363-1601.